Dr Tanya Bleiker has been appointed a member of the Veterinary Products Committee. Her appointment, by Agriculture Minister David Heath, runs from January 2013. She will receive £148 a meeting with an additional £76 for preparation. Dr Bleiker is a full time consultant dermatologist with a sub-specialist interest in cutaneous allergy and paediatric dermatology. The appointment adheres to the Code of Practice for Ministerial Appointments to Public Bodies. All appointments are made on merit and political activity plays no part in the selection process. However, in accordance with the original Nolan recommendations, there is a requirement for appointees’ political activity to be made public. Dr Bleiker has declared no political activity during the past five years. The Veterinary Products Committee advises the Veterinary Medicines Directorate (VMD) on behalf of the Secretary of State. 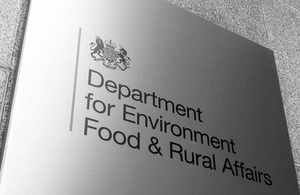 The VMD is an executive agency of Defra and is responsible for ensuring the safe and effective use of veterinary medicinal products to protect public health, animal health, and the environment. For more information go to http://www.vmd.defra.gov.uk/vpc/.